Can I Beg You, For Two Minutes Of Your Time? Wait. Actually that’s wrong. NO one likes a beggar. We have, in many respects, become a society of beggars, pleaders, and vagabonds. All too often, in these crazy times we live in, people don’t want to put in the hard work necessary to achieve success. And BTW, how you define success is up to you. For some reason it seems like people believe success has become a rite of passage. Just watch the evening news. All you see is people demanding this or demanding that. Even though they have done nothing to earn it. This is kind of how the real estate agent’s mentality works. Do as little work as possible, beg if you have to, to collect a commission check. Take a look at this post I have seen repeatedly on Facebook these last few weeks. This post was posted by four different real estate agents. A couple of them I know and a couple of them I do not. I can’t imagine the thousands of others, I didn’t see, who posted this same message as well. I want to preface that this post is word for word the same from each agent. NOT ONE WORD IS DIFFERENT. NO ORIGINAL THOUGHT. JUST SOME TEMPLATE/SCRIPT THAT THEY WERE TOLD TO USE. Do you have 2 minutes to help me with a problem? I’m taking a great class and we’re having a competition. I need to get at least 10 referrals in the next month in order to win! I am curious, who do you know who wants to BUY A HOME, SELL A HOME or INVEST IN REAL ESTATE that I could call today? First of all, what is the problem? Because I’m not sure one has been defined. Are you saying the problem is you need a handout? Or are you concerned that people don’t have two minutes, to reach into their pockets, to drop some change into your jingling change bucket? I believe, if there was a problem that you had the solution to, you would have had your prospective clients/audiences undivided attention for the two minutes you asked for. Instead you asked for a handout. When you define a problem and you provide the solution to that problem you will, most likely, have people’s undivided attention. Asking someone to sacrifice a 120 seconds, out of their day, will be nothing to them. Because you may add real value to them or someone they know. Instead, with this post, you defined a problem that adds absolutely no value to your audience. And that two minutes of time you asked for is not worth five seconds, let alone 120 seconds. Because the only problem you presented, within this post, is a problem that, you, the real estate agent has to figure out. I suggest, start by looking at yourself in the mirror. If you do take my advice, and look into that mirror, what is it that you see? If beggar it is… I guess keep begging if you are comfortable with it. If not, start figuring out how you can help your clients attain superior results. I have been asked, many times, why is it that the real estate industry is so F*#$ed up? There you go… to those of you who have asked me before. When I am presented with this question, I always pause for a second… Because I find it hard to pin myself as just a real estate agent. To be honest, I consider myself a storyteller. And one of the aspects of my storytelling is selling houses. 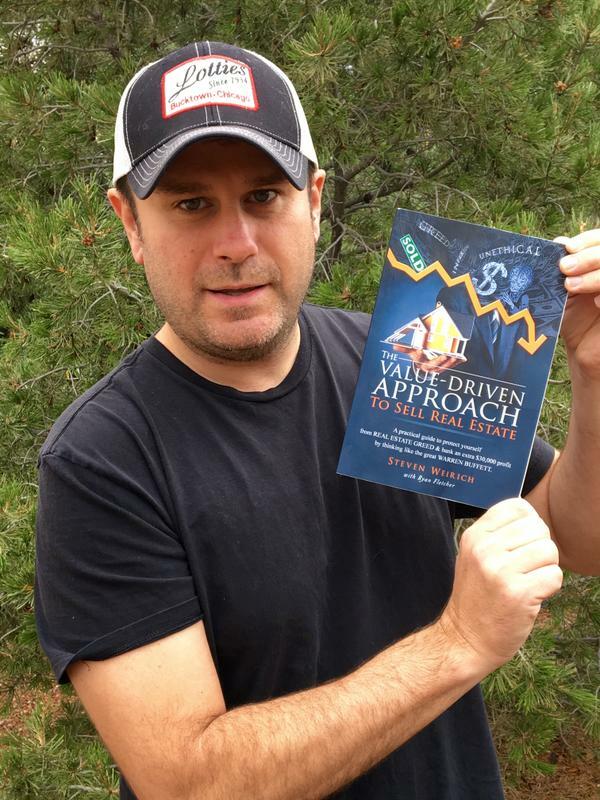 My book, The Value Driven Approach to Sell Real Estate, is a guide to protect people from real estate greed who are thinking of making a real estate transaction. The book also protects consumers from the beggars, like this, who don’t have a documented approach to get the superior results you should expect. It’s no wonder why real estate agents are perceived so poorly amongst the public. Agents, as a whole, are looked at just above a used car salesman in many public opinion polls. Isn’t there a saying numbers don’t lie…? Tomorrow we close on my wife’s condo in the city. When we performed our diagnosis of the property, we knew taking my approach would be the most profitable way to market the condo to potential home buyers. After staging, painting, pre-home inspections, photography, professional cleaning, and a couple of arguments LOL!! the place looked phenomenal. It looked so good that we got an additional $18,000 in profit, compared to other sold units. These are the results that can happen when a Value Driven Approach ​​​​​​​is taken. I hate seeing this negative sentiment about my industry. The reason being is there are so many great real estate agents, who I know and work with every day, who have great work ethic and have their clients best interests at hand. I hope to see these agents, who are begging for clients, hunkering down and figuring out how they can solve this problem of negative public perception. There is a lot of work to be done. Here is where I think these agents should start. Identify a problem that is relevant to your clients or potential clients. Then come up with a solution. If you do, present the solution. Then the reputation of the industry can and will get better. The next time you are in the need of a solution, to a problem, no matter what that problem is, don’t seek the expertise of a beggar. Find someone who has worked their butts off to solve the problem or solve it yourself. And if you haven’t found the solution you are looking for, maybe one of my past 75 guests, on the Arlington-Prospect Advice Givers® Podcast, will have the solution you are in need of. .
That’s right, they are all problem solvers. They have committed to making things easier for me and you. In closing… It is your rite of passage to be lazy, why anyone would choose this path is beyond me. But It is not your rite of passage to have success. I want to wish Kristy Riedel the happiest of retirements. Kristy has not only been my mortgage lender, for all of my real estate clients, she has become a dear friend. If there were more Kristy Riedel’s in the real estate profession, it would be a much better place.